In Fallout 4: Wasteland Workshop, the second add-on for Bethesda’s Fallout 4, players are given the opportunity to design and set cages to capture live creatures; anything from rabid raiders to deadly Deathclaws! Players will get to tame the captured creatures or have them face off in battle, even against your fellow settlers. The add-on also includes a suite of new design options for your settlements like nixie tube lighting, letter kits, taxidermy and more. Basically it is am IKEA add-on for Fallout 4. The Fallout 4: Wasteland Workshop add-on is more of a placeholder for the game’s third add-on, Far Harbor, which is releasing in May. Unlike Wasteland Workshop, the Far Harbor is more of an expansion as it will allow players to travel beyond the Commonwealth to the island of Maine, which is the largest landmass Bethesda Game Studios has ever created for post-release content. 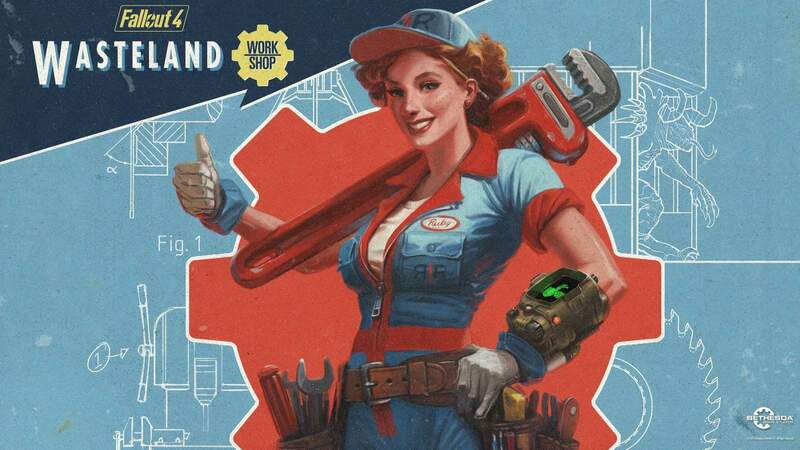 Fallout 4: Wasteland Workshop is the second add-on for Bethesda’s Fallout 4 and it is now available for download on Xbox One, PlayStation 4 and Windows PC for only $4.99 / €4.99.